In the frame of the contract awarded by the US Marine Corps to BAE Systems’ team for the manufacture of the next generation of Amphibious Combat Vehicles (ACV), CNH Industrial subsidiary Iveco Defence Vehicles will provide its 8×8 amphibious armoured platform design, core components and services. 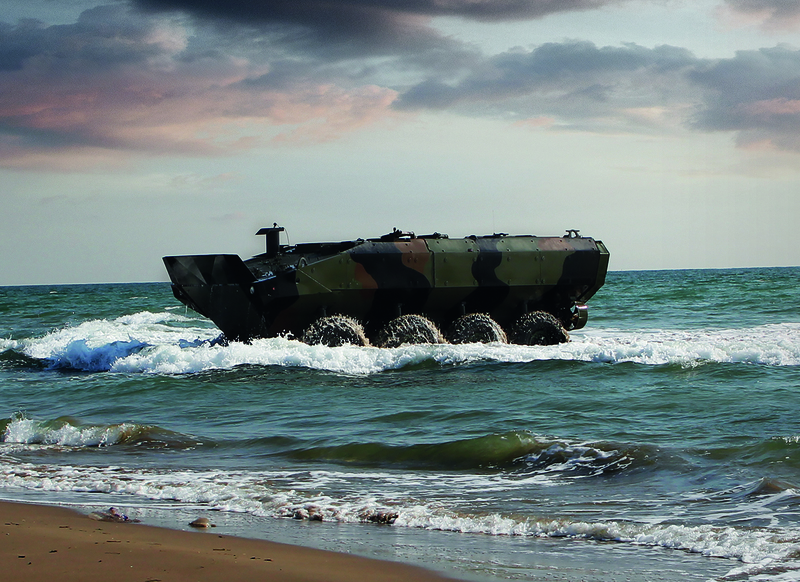 The ACV is an advanced 8×8 open ocean-capable vehicle that is equipped with a new six-cylinder, 700hp engine, which provides a significant power increase over the current Assault Amphibious Vehicle. The vehicle delivers best-in-class mobility in all terrain and has a suspended interior seat structure for 13 embarked Marines, blast-mitigating positions for a crew of three, and improved survivability and force protection over currently fielded systems. The team has conducted extensive risk mitigation testing and evaluation for water operations, land mobility and survivability that have proven the solution’s capabilities. As a leading provider of protected and integrated mobility solutions to military and civil protection customers, Iveco Defence Vehicles brings proven experience, having designed and built more than 30,000 multi-purpose, protected and armoured military vehicles in service today.